A woman has died after being attacked by two dogs, near Moycullen, County Galway. The incident happened at a house on the road between Moycullen and Spiddal, Irish national broadcaster RTÉ reports. Emergency services were called to the scene but were unable to save the woman. The woman, in her 60s, is thought to have been visiting a relative when two Bullmastiffs attacked her. The dogs were later destroyed. 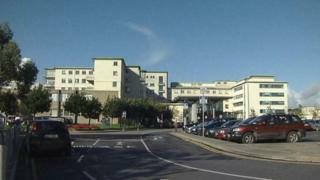 Her body has been taken to University Hospital Galway, where a post-mortem examination will take place.